This wicker side chair has the best of both worlds. 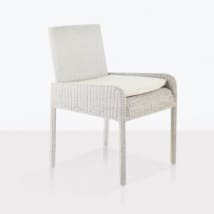 It combines high quality traditional wicker with modern clean lines making it versatile for many different tastes and styles. 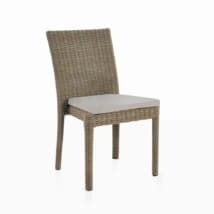 W21" x D22" x H32"
The Zambezi wicker side chair is both simplistic and functional. The white wicker and taupe cushion complement the warm hues of our teak and concrete dining tables. 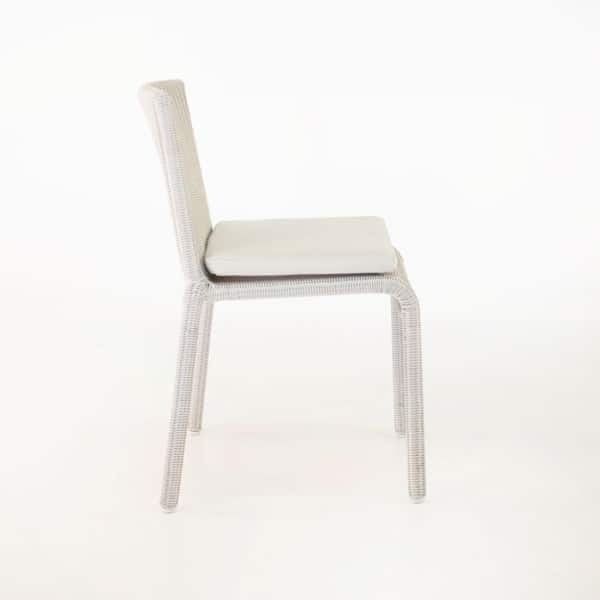 For a contemporary vibe this chair would look stunning around our modern concrete dining table. If you want a more traditional look it also suits our A-Grade teak rectangle and round dining tables. We also love this chair because it stacks for easy storage in the winter months. 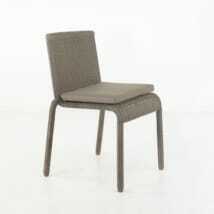 You can feel good about the look and durability of this chair. 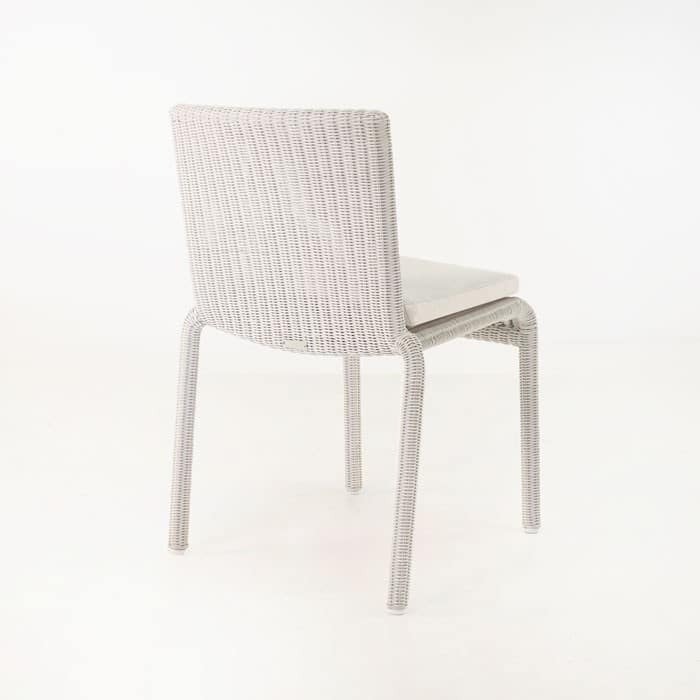 We use high quality Ecolene® wicker which is perfect for outdoor use. It stands up against the elements and normal wear and tear. It resists fading in the sun so that you can enjoy this chair many summers to come. 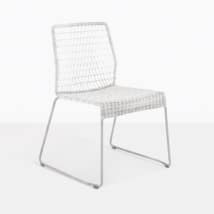 The wicker is finely woven around a powder coated aluminum frame. his makes it light and strong. The cushion is made with canvas Sunbrella® fabric and comes with the chair. The Zambezi collection offers a matching arm chair as well as a sofa, lounge chair, ottoman and coffee table so that you can complete your outdoor living space and use it to its fullest. You can choose the white wicker with canvas cushions or pebble (light brown) wicker with taupe cushions. Both wicker colors go beautifully with our A-Grade teak dining tables and our modern concrete dining tables. Our concierge team is ready to help you today. 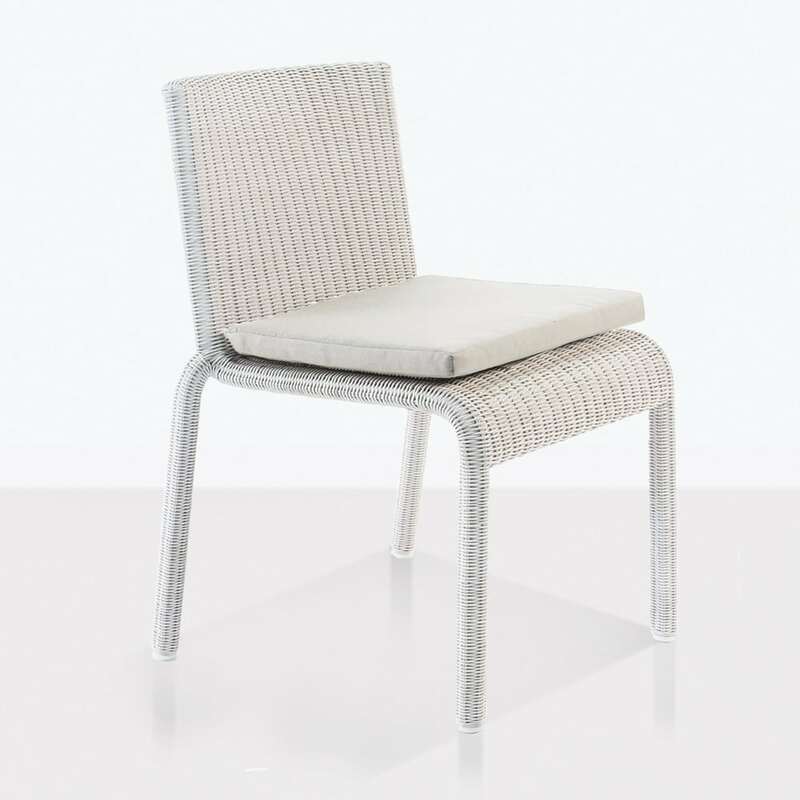 We are available to help you choose the best outdoor dining furniture for your home. Call us today at 800.343.7707. We are open 7 days a week (PST) and look forward to hearing from you!